Saving the cord blood at birth is your once-in-a-lifetime opportunity to capture the most powerful source of stem cells your baby will ever have. Cord blood banking is a growing trend among new and expectant parents around the globe. It involves collecting the blood from your baby’s umbilical cord in a simple, safe and painless procedure that is done right after birth, once the umbilical cord is cut. The collected cord blood is then sent to the laboratory where it undergoes processing and is then frozen in cryogenic storage tanks for long-term preservation of 20 years and more. There are well over half a million units of umbilical cord blood being stored annually. More than 35,000 transplants using cord blood have taken place around the world, helping to treat more than 80 different medical conditions. you could help protect their health, for the rest of their life! 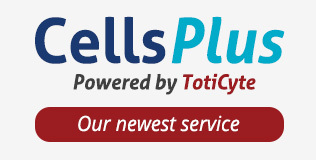 approved by the HTA, developed by and is exclusive to Cells4Life! Our Whole cord blood storage captures all cell types in the umbilical cord blood sample including HSCs, MSCs, VSELs, hormones and other growth factors. 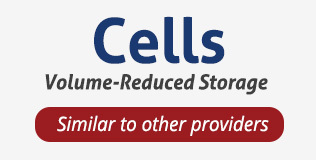 Our Volume-reduced cord blood storage focuses on extracting the maximum number of HSCs from the umbilical cord blood, after which the remaining components are discarded.